collects, preserves, exhibits and makes accessible to the public materials and knowledge to support and promote understanding of LGBTQ history, culture and arts in all their diversity. Founded in 1985, we are recognized internationally as a leader in the field of LGBTQ public history. The GLBT Historical Society is a registered 501(c)(3) educational nonprofit organization. 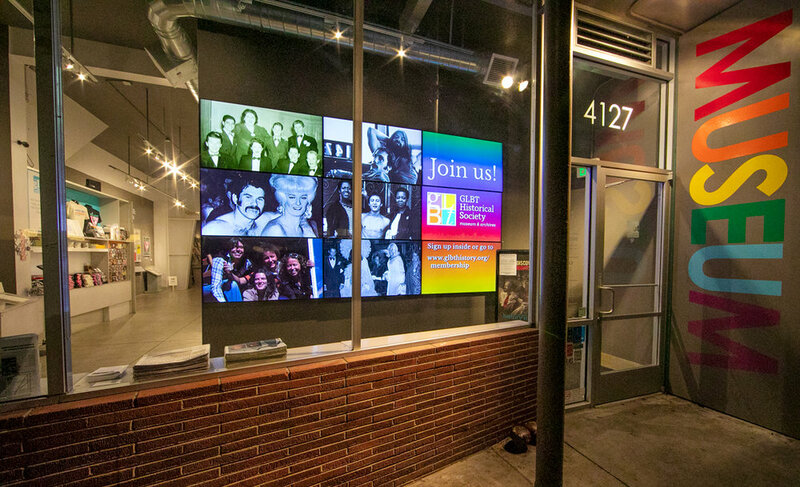 The GLBT Historical Society Museum, located in the heart of San Francisco’s Castro District, is the first full-scale, stand-alone museum of gay, lesbian, bisexual, and transgender history and culture in the United States. The Dr. John P. De Cecco Archives & Special Collections of the GLBT Historical Society are among the largest and most extensive holdings in the world of materials pertaining to LGBT people, occupying more than 3,500 linear feet of storage. Broadly speaking, our over 850 discrete collections fall into four main areas: archives, periodicals, oral histories, and arts & artifacts. as a member to ensure the conservation, exhibition and interpretation of LGBTQ history. Thanks to you, we can grow our collection of important historical materials, showcase them in the museum, and preserve them for the benefit of future generations. by contributing to Vision 2020, our Annual Fund, to sustain our mission and help us plan for a New Museum of LGBTQ History and Culture.